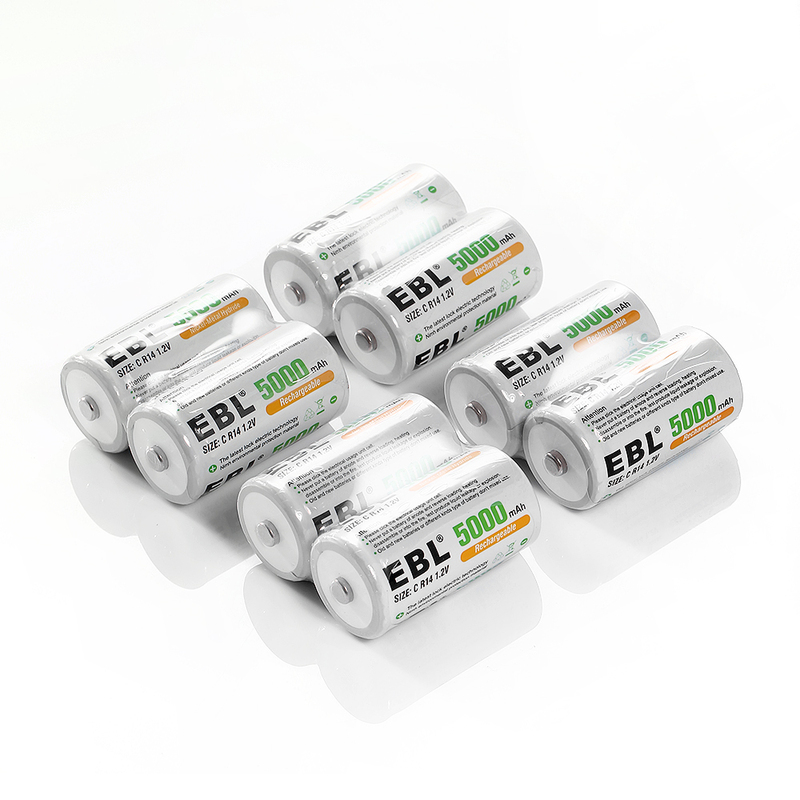 Battery Type: 8 pack 5000mAh Ni-MH rechargeable C cell batteries. 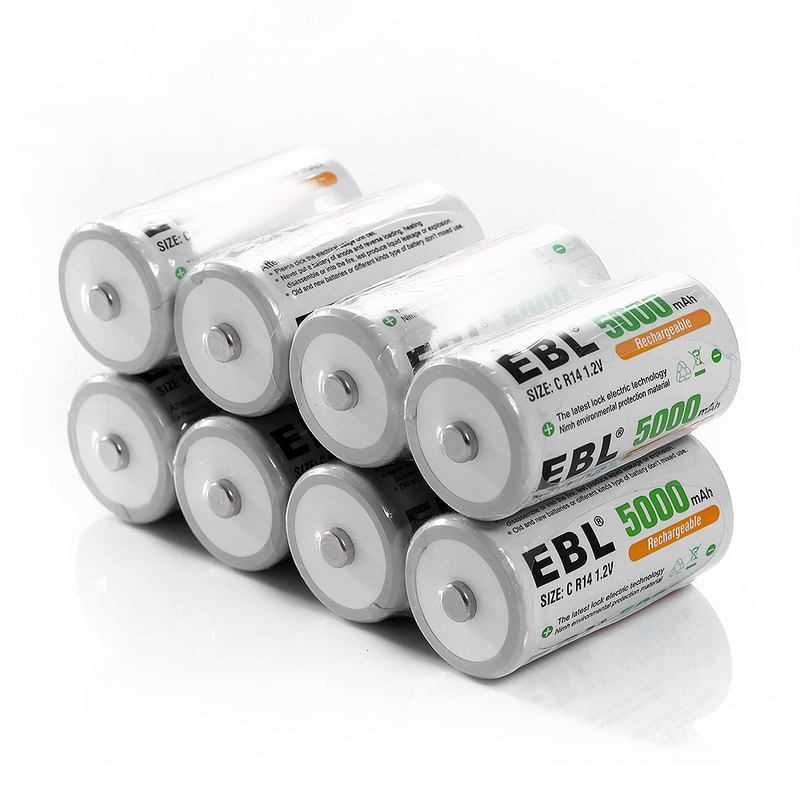 Low Self-discharge NiMH Batteries: These batteries still hold about 75% of capacity for 3 years storage. 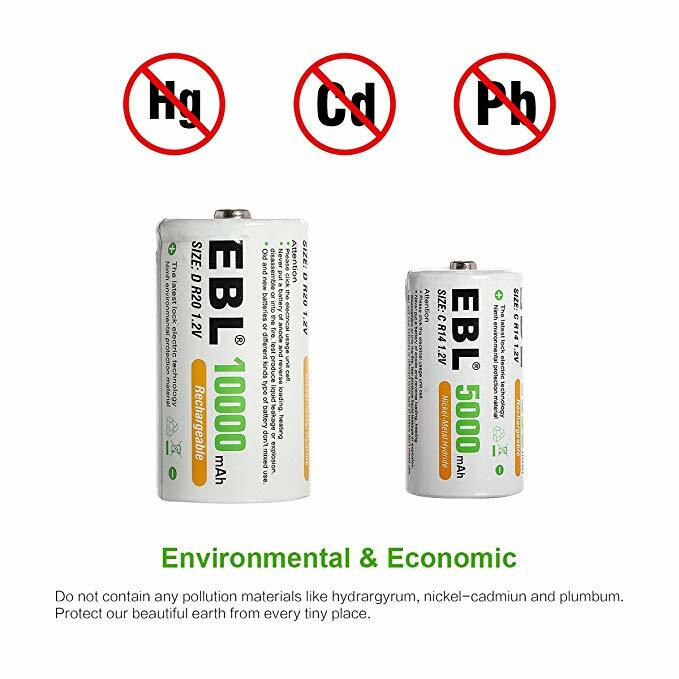 Long Life Rechargeable Battery: The C size NiMH batteries have long battery life (up to 1200 charge cycles), and excellent stability and safety for recharging. 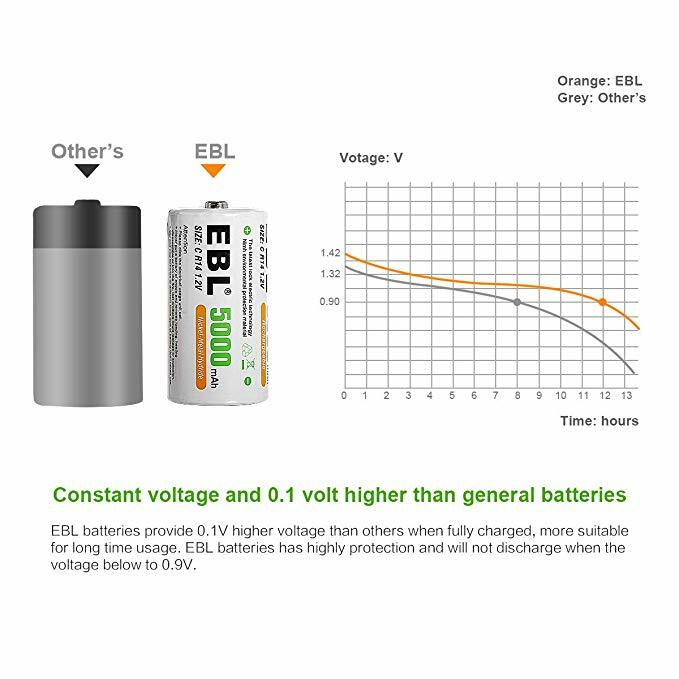 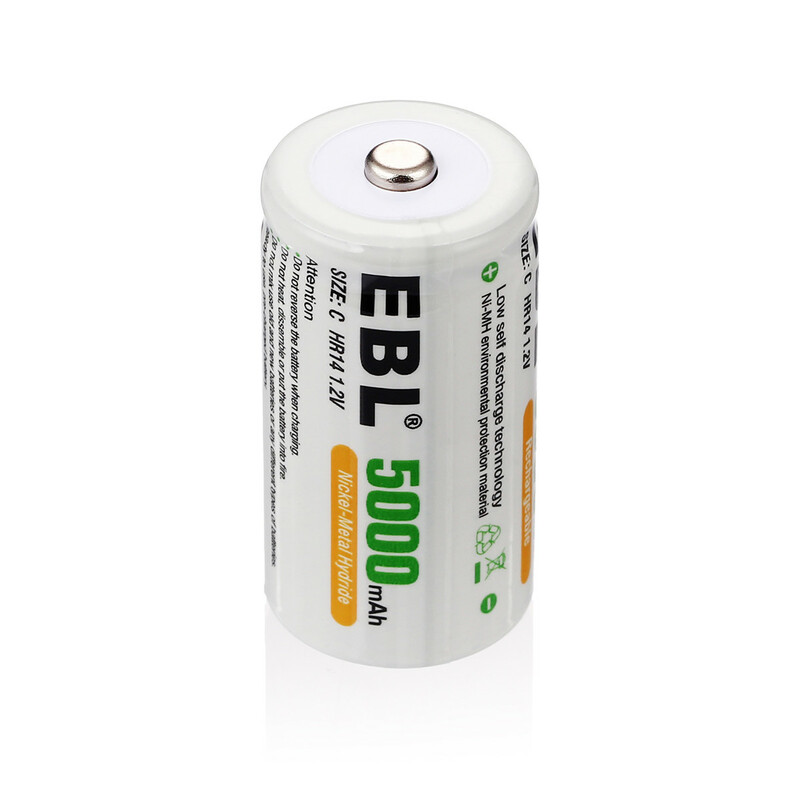 Wide Application: EBL rechargeable C batteries can be widely used for flashlights, portable pumps, fans, audio amplifiers/speaker/megaphone, massage devices and so on. High Capacity C Rechargeable Batteries: These 8-pack Ni-MH rechargeable C size batteries are rated at high capacity 5000mAh, providing long service time. 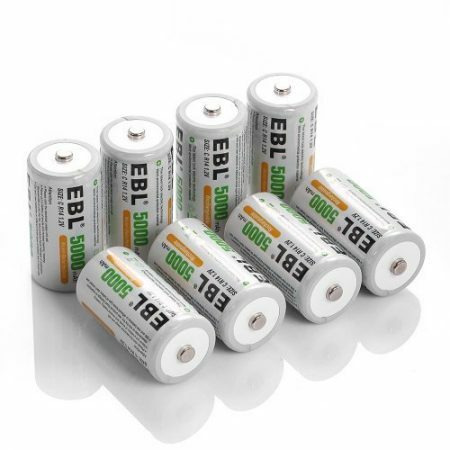 8 Pack EBL C cell batteries. 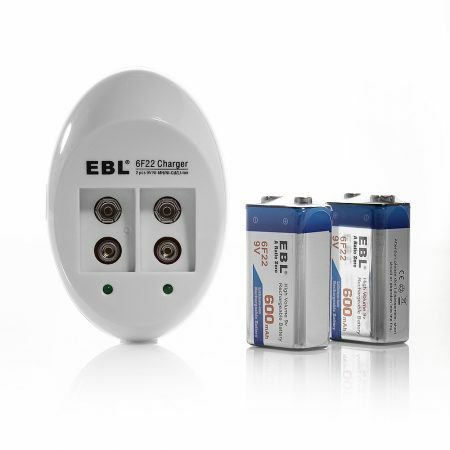 1) Power Tools: Electric drill, shaver, planers, saws, vaccum cleaner. 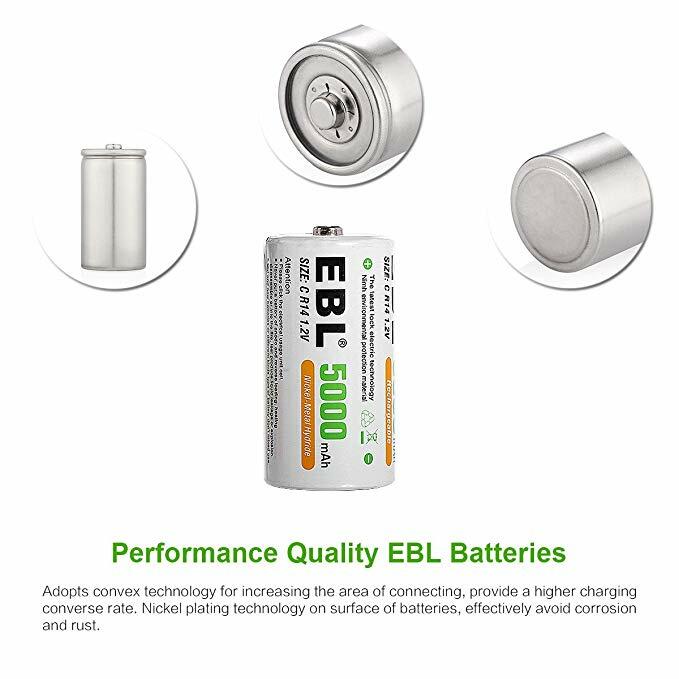 2) Visual Equipment: Camera, game, portable TV. 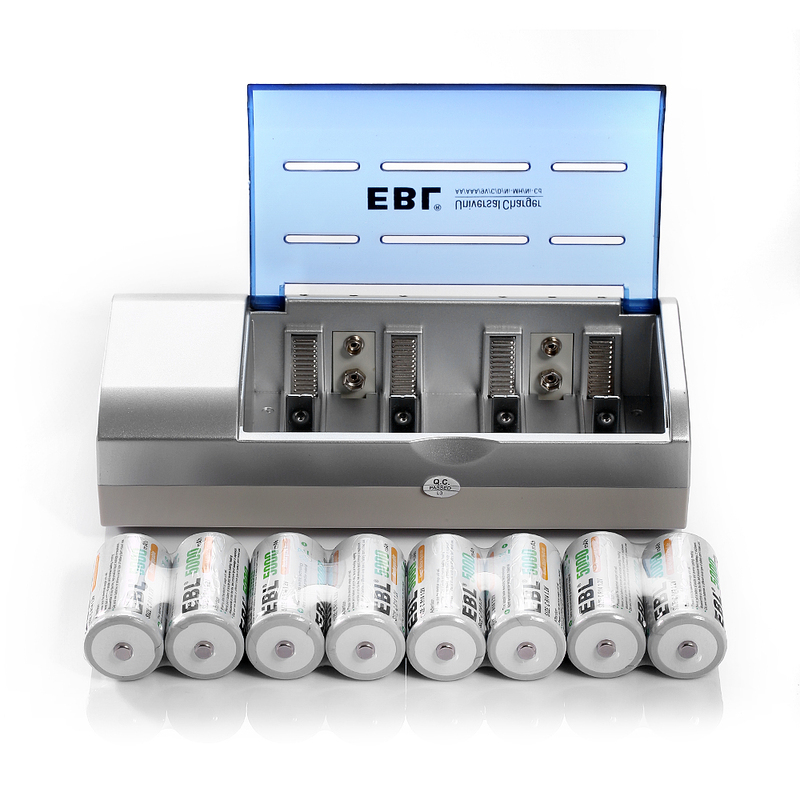 3) Office Equipment & Security: POS, emergency light etc. 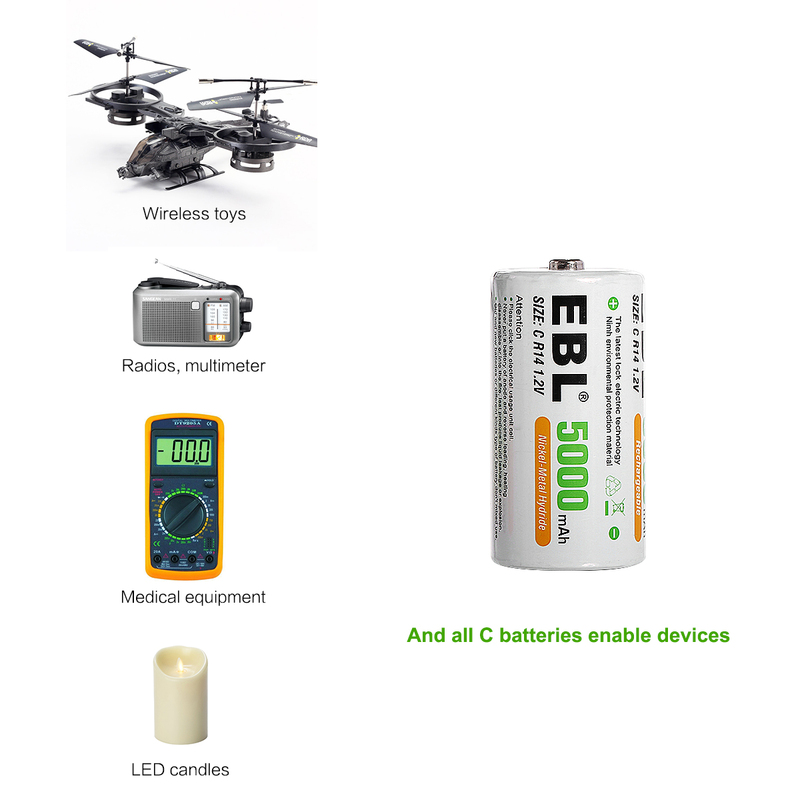 4) Electronic Toys: Remote control toys, model aircraft etc. 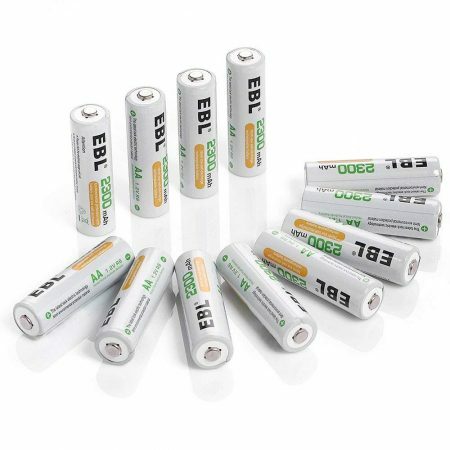 5) Communication Equipment: Cell phones, walkie-talkie, cordless phones, transceiver etc. 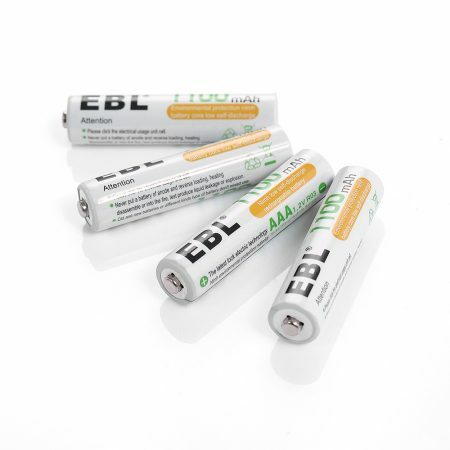 6) Other Uses: Massagers, electric toothbrush, radio, torch, wall clocks, smoke Alarms, medical sensors etc. 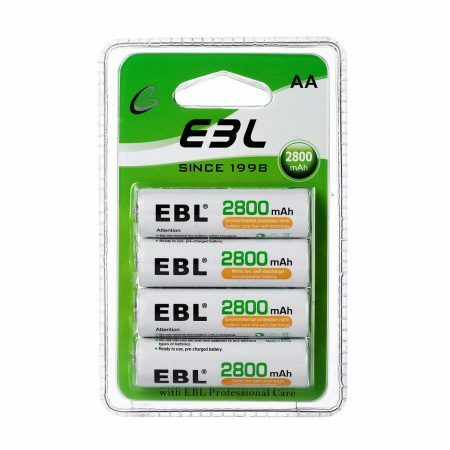 These 8-pack C batteries have high battery capacity 5000mAh for long battery service time. 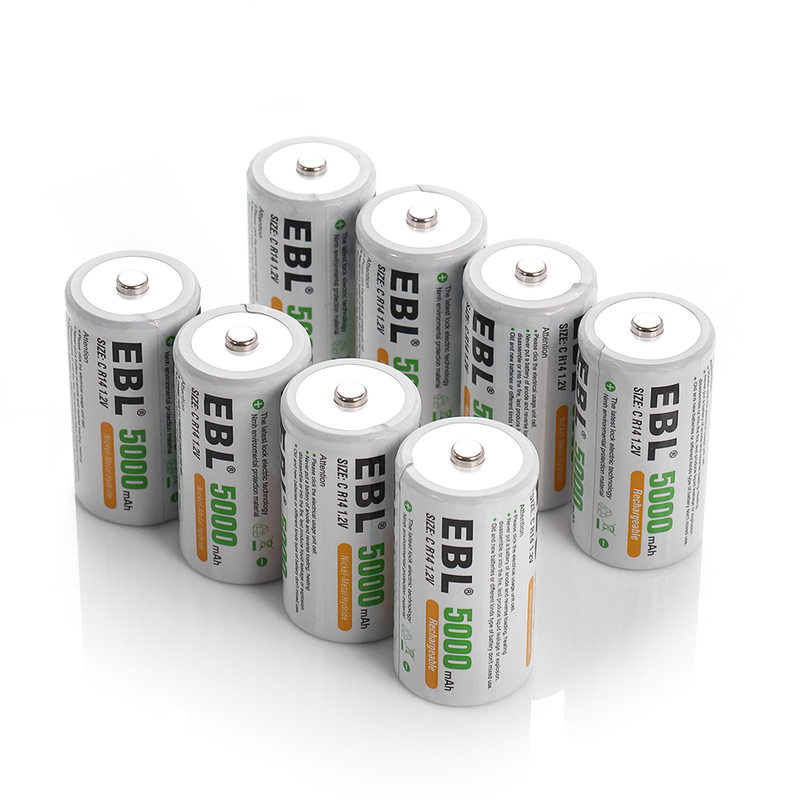 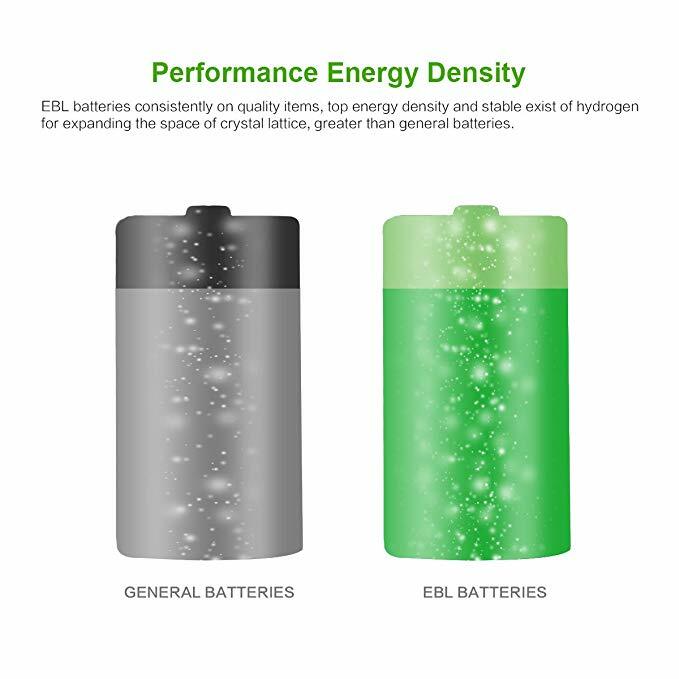 They provide stable battery energy for your high drain C cell-enabled devices. 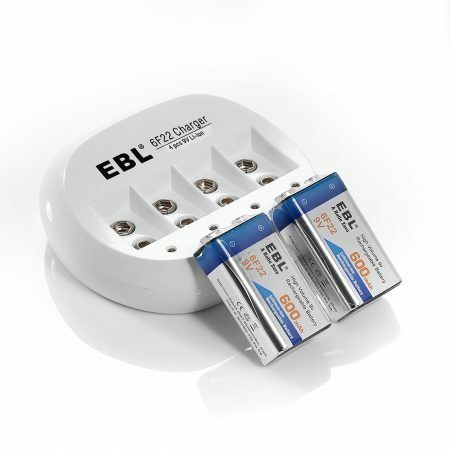 These rechargeable C cells are most useful and environmentally friendly for your household and office.